Tom Patterson, a vice president and chief trust officer of Unisys, will join the Cyber Future Dialogue 2019 on Tuesday to discuss how citizens and governments can utilize emerging technology such as artificial intelligence in efforts to ensure privacy and increase security. He will speak before cybersecurity futurists from Barclays, Intuit, Palo Alto Networks, SAP and SINET at the event that will take place in Davos-Klosters in Switzerland, Unisys said Monday. His topics will include the use of new technologies to secure critical infrastructure assets within the government, transportation, energy, finance, defense and health care sectors. “We need to get beyond the discussion of any inherent trust in specific technology and focus on how it will actually be used to benefit global society," said Patterson. "Technologies like 5G, quantum computing, artificial intelligence and biometrics are individually disruptive, but collectively they will completely rewrite the global trust models – for better or worse." 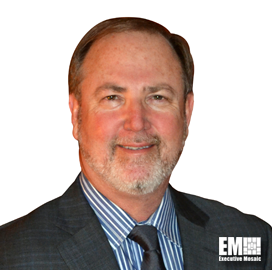 Unisys noted that Patterson's presentation will also help the company promote its cybersecurity support efforts in Europe. In November, the company said it will support the Paris Call for Trust and Security in Cyberspace to help in global cybersecurity and coordinate governments and businesses.